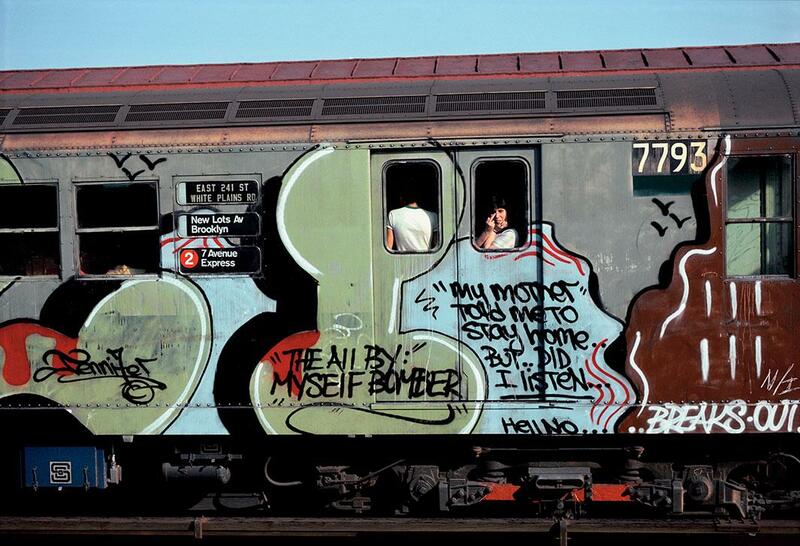 Martha Cooper and Henry Chalfant’s Subway Art is the bible of graffiti art in New York City. “Midge” with yellow school bus, 1982. 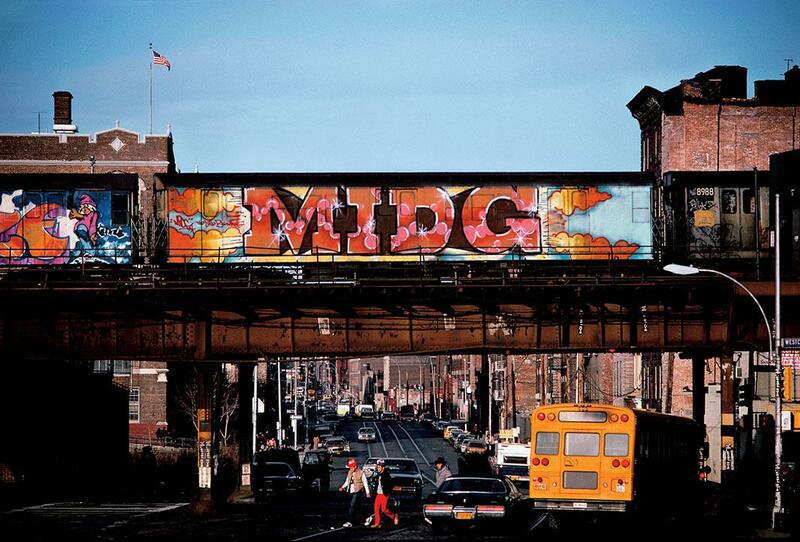 Martha Cooper and Henry Chalfant found their niche as graffiti photographers by accident. Cooper was a staff photographer for the Daily News in New York when she met a young man creating some graffiti. (The artists are often referred to as writers.) “He showed me how he was designing his name to put on a wall, and I understood there was a culture behind it,“ she said. Their classic book Subway Art, first published in 1984, will be released for the third time this month by Thames & Hudson. 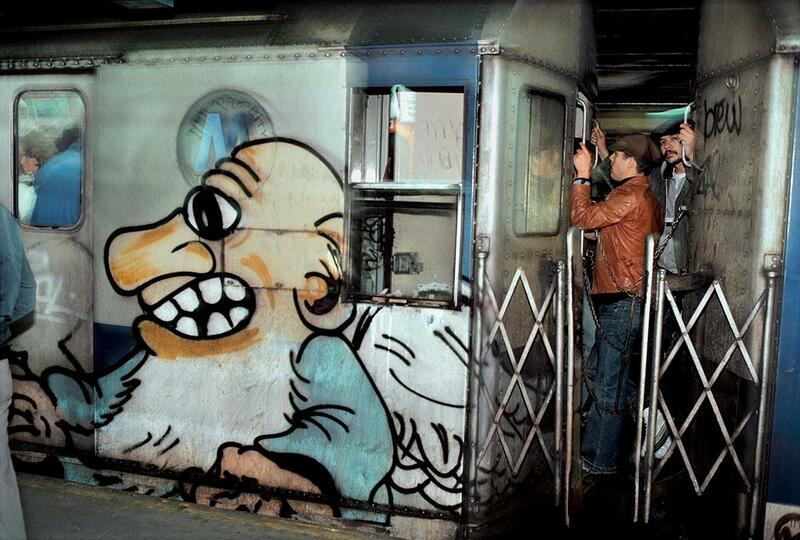 Chalfant, a sculptor, noticed the graffiti on the trains in New York and began photographing them. Since Cooper was interested in capturing the graffiti within the environment of the trains and New York City and Chalfant was creating images that tightly focused on the art, the duo’s work paired well when seen together. As photographers, Cooper and Chalfant had a strong bargaining tool that allowed them to quickly gain the trust of the writers: photographs. Many of the artists and writers used images to record their art. Cooper said for the most part they were using cheap cameras, and because they weren’t trained photographers, the images weren’t very good. Because they knew they would be given photographs of their work, the writers would leave messages on Cooper’s and Chalfant’s answering machines letting them know when to head out to shoot and on which side of the train they could find the art. As for the continued interest in the book, Chalfant said part of it does lie in the hunger many people have to see the often-romanticized but crime-ridden days of New York in the 1970s and ’80s. 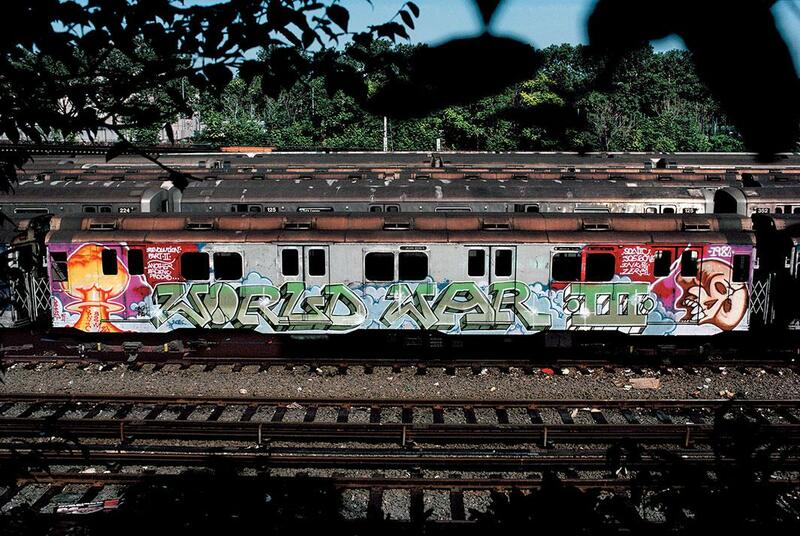 “World War III,” CC Yard, the Bronx, 1982. The book is legendary in the world of graffiti and street art. The hunger for the initial publication made for some interesting records in the publishing world. Min, Duro, and Shy 147, New Lots Yards, the Bronx, 1981. Bearded character with kids, by unidentified artist, 1981.